Gabriola Island, B. C.: New Society Publishers. Near Fine. 2002. First Edition. Softcover. 0865714479 . 2002 Second Edition. 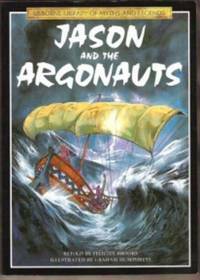 Large softcover in excellent condition - pages clean and intact. Cover has slight wear to corners. B/w illustrations. ; 4to 11" - 13" tall; 281 pages; The second edition of this much-loved storytelling sourcebook features 29 wondrous children's stories from around the world. 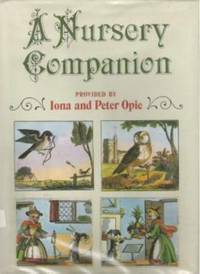 From the mythic and the fantastic, to the silly and the serious, these timeless tales encourage conflict resolution, compassion, and sensitivity to the Earth and all living things. 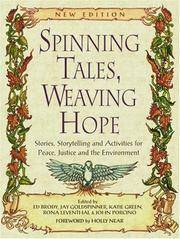 An incredible sourcebook for storytellers, teachers, parents and healers, each story is followed by suggested activities and exercises, storytelling tips, and resources, all designed to deepen the storytelling experience. Includes an Age Suitability Index, a Thematic Index, and a Directory of Contributors. A new introduction focuses on storytelling in education. (829, 0211) . London: Deans International. Very Good- with no dust jacket. 1984. Hardcover. 0603016359 . Light edgewear/scuffing to cover, light soiling. Internal pages clean other than light stain affecting last two pages. 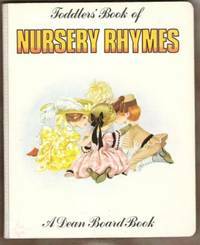 Includes: Baa, Baa, Black Sheep / Yankee Doodle / Sing a Song of Sixpence / Polly Put the Kettle On / The North Wind Doth Blow etc. [142-osl]; 8vo 8" - 9" tall . University Press of New Brunswick. Very Good. 1956. Third Edition. Hardcover. Hardcover in very good condition, no jacket as issued. Pages all intact and clean other small inscription on endpage and a little ink rubbing from colour frontispiece to adjoining pages. Cover has moderate wear/rubbing to edges andpaper is worn off a bit at outer corner, a few light spots on cover. Colour & b/w illus. 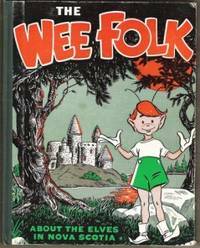 Tales of the adventures of some of elves who reside in Nova Scotia. Includes: Christmas Eve in Teaberry Hollow; The Elves Hold a Convention; The Woodcarver & Wee Danny of Velvety Green. [326-osl]; 8vo 8" - 9" tall . Doubleday. Good in Good dust jacket;. 1971. Not First Edition. Hardcover. 0385063768 . Ex-library book, but still in good condition - laminated cover and usual ex-lib type of markings, jacket attached to book. Jacket and hardcover have light edgewear and scuffing. Interior clean other than library markings and some glue residue inside rear cover from pocket removal. A couple of the library stamps marked through with black marker. "Cooney's illustrations add an exciting dimension to this translation of one of the oldest known stories of the ancient Greeks - Hermes, the sly, clever, quick-tongued messenger of the gods...."  ; 4to 11" - 13" tall . Annick Press. Very Good+. 1998. First Edition. Hardcover. 1550375253 . Excellent condition, no dustjacket (as issued? ) . Clean and unmarked, overall wear is minimal. Charming colour illustrations. 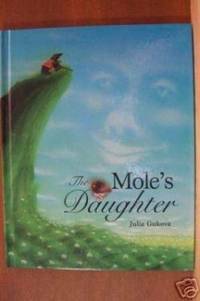 ; 8vo; From Kirkus Reviews: This sly Korean folktale features a family of moles: exquisite daughter (whose eyes sparkle in very unmolelike fashion) , protective mother, and proud father. As the daughter is the fairest of all creatures, her father wants her to marry the most respected and powerful of husbands... (380os) . Atheneum. Very Good+ in Very Good+ dust jacket. 1982. First Edition. Hardcover. 0689309368 . Ex-library book, but still in very good condition - usual ex-lib type of markings. Pages clean , only light wear to jacket, which is attached to book. Summary: A retelling of a Japanese fairy tale. 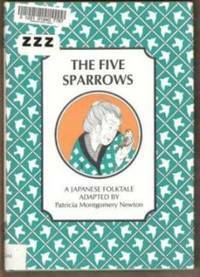 When a kindly old woman is richly rewarded for nursing a wounded sparrow back to health, a greedy neighbor attempts to emulate the old woman and brings trouble upon herself and her family. (300os) ; 8vo 8" - 9" tall . London: Oxford University Press. Very Good with no dust jacket. 1973. First Edition. Hardcover. 0192796879 . Cover has light edge and corner wear, a little corner bumping, light age tanning to page edges, light scuffing/soiling to cover. No dustjacket, illustrated covers. Interior clean and unmarked other than previous owner's name written small inside front cover. Wonderful full-colour illustrations throughout. In the gardens of Versailles, courtiers dressed as trees act a play before Louis the Fourteenth, the Sun King. "Fiona French's illustrations recreate the opulence and splendour of the famous gardens and the gaiety of the Court of the great Sun King. " (415os) ; 4to 11" - 13" tall . Toronto: Oxford University Press. Near Fine in Very Good+ dust jacket. 1994. First Edition. Hardcover. 0195409906 . Signed/inscribed by author Mollel on title page. There is also a gift inscription on the same page. Hardcover is in excellent condition, clean and intact, there is a previous owner's name written quite small and crossed out on endpage. Jacket has light edgewear , a couple small edge tears and price sticker on rear. 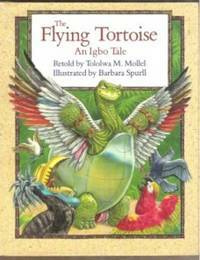 "Traditional tale about trickster Mbeku the tortoise, a favorite among the Igbo people of southeastern Nigeria" The greedy tortoise thinks he should have mroe than his share of everything. When he learns the birds are invited. To a feast, he is desperate to go along - but first, he must wings to fly! (os) ; 4to 11" - 13" tall; Signed by Author . Heinemann. Near Fine. 1996. First Edition. Hardcover. 0600584887 . Excellent condition, overall wear very light. Pages clean other than gift inscription across top edge of title pages. Wonderful colour illustrations and see-through scenes Of villages, houses and burial chambers. Discover the Indians of the American southwest. Incl. Cliff houses of the Anasazi, a Pueblo village, Navajo hogans, secret rituals, etc. (800) ; 4to 11" - 13" tall . Children's Press. Fine. 1997. First Edition. Hardcover. 0516203517 . Excellent condition, no jacket as issued. Clean and unmarked. Beautifully illustrated. 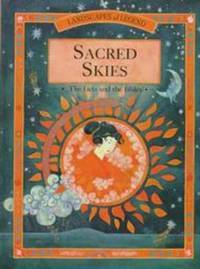 Ingram: Discusses how people throughout the ages explained the sun, moon, stars, rainbows, and thunderstorms and presents several traditional tales from around the world that embody their beliefs and observations. ; 4to 11" - 13" tall . G. P. Putnam's Sons. Very Good in Very Good dust jacket. 1999. First Edition; First Printing. Hardcover. 0399232125 . Very nice copy. Ex-library with laminated cover & usual type markings. Light wear/scuffing to jacket. Internally very good - light wrinkling to a copy pages. 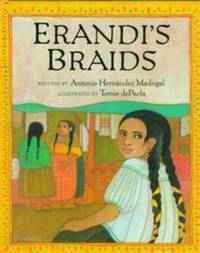 "....Erandi, a Mexican girl, looks forward to her birthday and a forthcoming village fiesta with great anticipation....after all, she hopes to have a new dress to wear. But Erandi's dreams of pretty things are soon interrupted. Mam 's fishing net, with which she catches their food, is too torn to repair and there is not enough money to buy a new net as well as a dress...." Ages 4-8. (380-osl) ; 4to 11" - 13" tall . London: Oxford University Press. Good+ in Good+ dust jacket. 1980. First Edition. Hardcover. 0192122134 . Ex-library book but still in quite good condition - laminated cover and usual ex-lib type markings. Cover has light edgewear, a little moreso to bottom edge. Pages have occasional light soiling but clean and intact for the most part. Charming colour illustrations. 128 pages. ; 4to 11" - 13" tall . Toronto: MGR. Fine. 2004. First Edition. Hardcover. 1845060938 . MGR 2004 printing. Excellent condition, clean & unmarked. 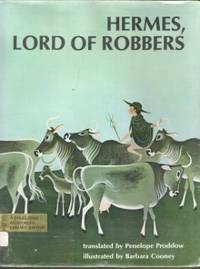 Wonderful color illustrations by the author. Non-paginated. 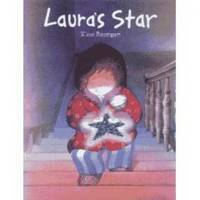 Description: Laura is often lonely and longs for a friend of her own. One night, she is leaning out of her window and sees a falling star. Quickly she runs downstairs and picks up the injured star from the pavement. She mends its broken tip and tenderly puts it on the pillow beside her. She tells it all her secrets and knows she has found a friend at last. But, when she wakes in the morning, the star has gone... (400os) ; 4to 11" - 13" tall . London: Parragon Books. Very Good. 1996. Softcover. 0752514563 . Light edge & corner wear, light creasing to covers. Internal pages clean & tight, a few tiny corner creases. Colour illustrations. Non-paginated. When Ella loses her ring at the seaside, her counsin's search to find it leads him into a magical underwater adventures, with unexpected results. (*shipping will be reduced on this lighter book) ; 8vo 8" - 9" tall . Wedge / University of B. C.. Fine. 1983. First Edition. Hardcover. 0888650205 . Excellent condition, clean and unmarked, only very light wear overall. Beautiful colour & b/w illustrations. 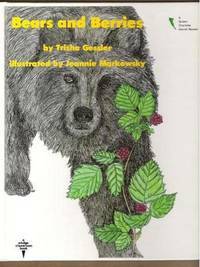 "A charming introduction to the Haida understanding of animals. A little girl going berry-picking encounters a bear. Her mother tells a legend about bears. Lovely illustrations recreate village of Skedans as it was in 1878. 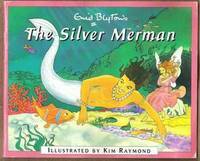 A read-aloud book for younger grades. Relevant to social studies. " (400) ; 4to 11" - 13" tall . Annick Press. Very Good+. 1993. First Edition; Second Printing. Softcover. 1550373382 . Very nice condition. Cover has light edge/corner wear. Pages are clean and unmarked. Wonderful colour illustrations. 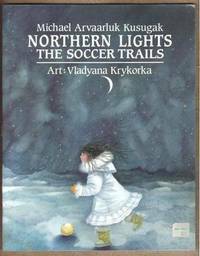 A young Inuit girl whose mother passed away from an illness finds comfort in the Inuit legend that the souls of the dead like to indulge in a lively game of soccer as they did when they were living. They believe the moving Northern Lights are their loved ones running all over the sky chasing the soccer ball and indulging in their favourite game! 4-8 years. (os) ; 4to 11" - 13" tall . London: Young World Productions. Very Good in Good dust jacket. 1970. Hardcover. Very Scarce Title. Hardcover has light edgewear, a little corner bumping, a few small spots, interior pages clean & unmarked. Front endpage has a bottom tear which has been taped. Jacket has light soiling, light edgewear and a few tiny tears, one 1" corner tear is taped on the back. Back flap has some creases, front flap is clipped. Charming colour illustrations throughout! "Being the Latest Adventures of Your Best Loved Fairytale Folk. 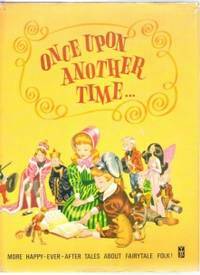 What happened to our beloved fairytale characters beyond the finish of the traditional tales all children know so well? The answer to this question is to be found within, with the author's fascinating sequels to some of our best loved stories. Stories included: Puss in Boots to the Rescue; The Emperor's Nightingale and the Dragon; The Eleven Dancing Princesses; The Elves and the Hatterk; The Golden Goose and Queen April's Happiness and Tom Thumb's Special Surprise. " ; 4to - over 9¾" - 12" tall .